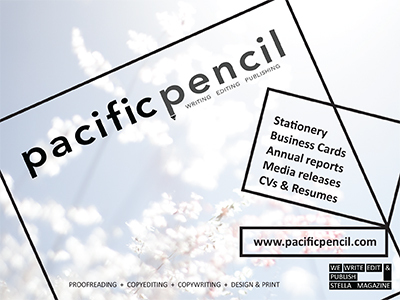 As a student, an internship at Pacific Pencil offers an exciting opportunity to work inside one of the country’s most progressive publishing houses. 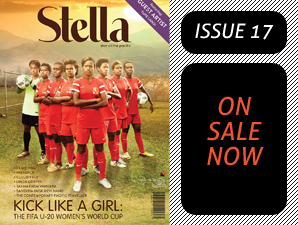 We are opening up our doors to offer a 10-week internship program at Stella magazine's Port Moresby Studio. An internship is a period of work experience offered by a company to students. Our Creative Internship program focuses on editorial, photography, marketing, publicity, design, and event management. We aim to give you a solid understanding of our publishing process. Our internship program spans ten weeks from early December to early February with a two-week break during our office closure over Christmas. As an intern, you will work full-time hours for our publishing department and Stella imprint, and learn a range of skills through writing projects, photography work, event management, marketing, social media campaigns, and contemporary art projects. The program ends with a presentation of tips for your resume, cover letter and interview as well as a reference letter for your portfolio. After the program ends, you will be eligible to enter our 6-month mentoring program with the publisher. Our Stella Internship is open to journalism and creative industries university majors, and recent graduates (final year and recent grads preferred). Applications for this creative internship are open until 31 October 2018. Do I need to be based in Port Moresby? Yes. This internship is based in our Port Moresby studio. Does this internship offer accommodation in Port Moresby? No, it doesn't. When will the internship begin? The internship will run from 3 December 2018 to 8 February 2019. Our studio will be closed 24 December - 4 January. Do I need to be a university student or recent graduate? Yes, you do. We may offer a school student internship in June 2019 so stay tuned for this opportunity! Is this a paid internship? Yes, you will receive a small weekly allowance for the duration of the internship. Do I need to be fluent in English? Yes. The internship will also build your capacity to write and edit articles in English. Do I need my own equipment? You are welcome to bring your own hardware (i.e. laptop and camera), however we will provide these tools for the duration of the internship. Do I need to know Adobe Creative Suite/Creative Cloud? This will be an advantage but is not a requirement of the internship. What kind of projects will I work on? You will learn a range of skills through writing projects, photography work, event management, marketing, social media campaigns, and contemporary art projects. Will I meet anyone cool? Guaranteed, yes! Will I get a reference for other job applications? Yes, you will. We will offer advice on your resume and cover letter, and prepare you for a job interview. What are the benefits of the mentoring program after this internship? Find out everything you need to know about our mentoring program. For contributions to Stella, please see our submission guidelines HERE.